It’s pizza night! These are the works of art from tonight’s installment. Rachel and Julie were the pizza artistes. Monte’s homemade crusts, of course. The top left one is margherita with tomatoes, mozzarella, home grown basil and olive oil (instead of red sauce). Top right is tomato sauce, prosciutto, onion, basil, red pepper, olive and goat cheese. 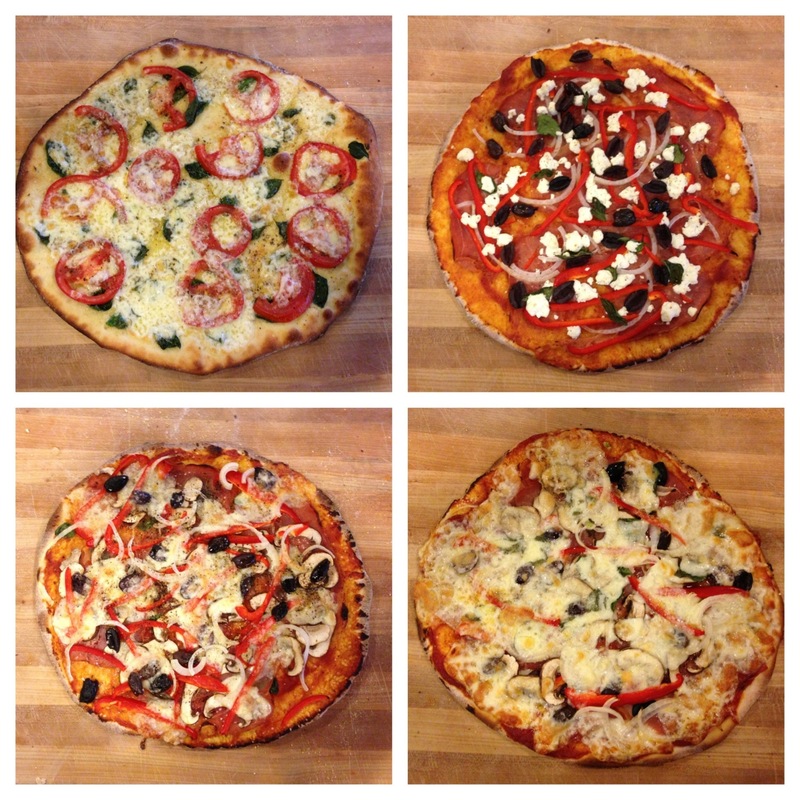 Bottom left and right are varying amounts of prosciutto, mushroom, olive, onion, red pepper and mozz. Yum – life is good ! This is a yummy feast and beautiful too. As a child, I didn’t care much for pizza. But when I grew up, that changed. I think it was an appreciation for different ways of serving vegetables, spicy meats and cheeses. Previous Previous post: ‘Tis Tuesday.